This semi-circular bag is perfect to carry around in all types of occasions. Its small size gives it a cute look and allows the user Read More..to carry not so heavy elements. 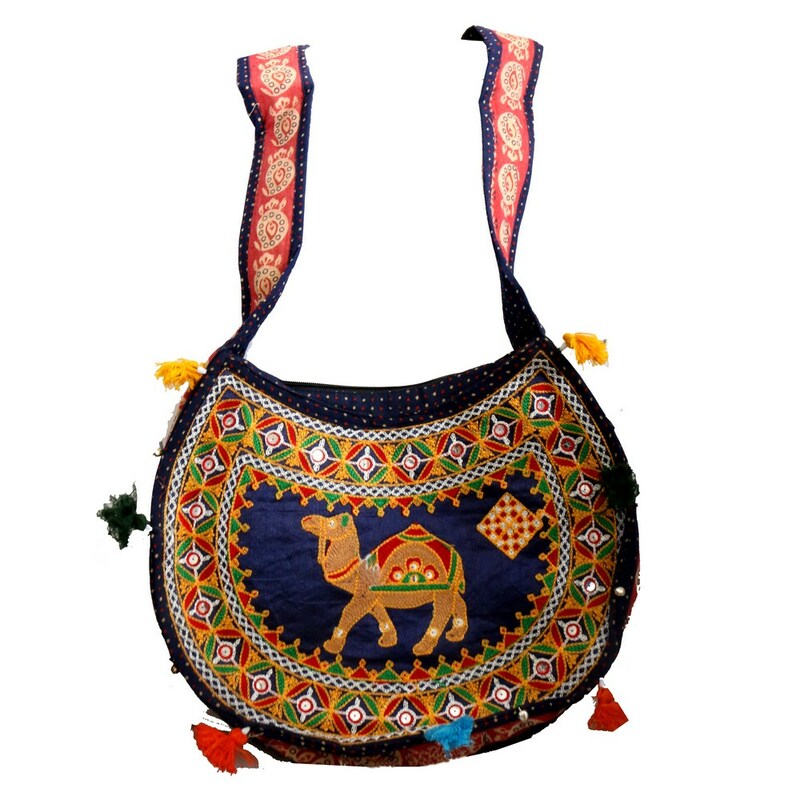 The beautiful camel design on the front makes this bag look all the more ethnic and traditional. Show Less..